The Mounts family has been growing premium wine grapes for over 70 years in the Dry Creek Valley. Every block design brings together the unique orientation of hillside exposure, soil type, and depth. With each of these factors we determine our variety, the appropriate clone, and the most favorable root-stock. The careful planning and consideration that goes into developing our vineyards allows the vine to grow to its full potential for optimal vine health and balanced canopy growth. As a result, we achieve the greatest possible expression of fruit character, balance, and structure in all of our wines. Together, Richard and David have a combination of over 70 years of farming wine grapes. They continue to sell approximately 80% of their fruit to multiple wineries throughout Sonoma County and Napa Valley. Currently, there are 90 acres of vineyard planted, consisting of 20 varieties with half of the acreage producing off of 40 - 50 year old head-pruned vines. The Mounts’ are successfully growing and producing varieties that they truly love. These varieties include the newly planted Bourboulenc, Grenache Blanc, Picpoul Blanc, Viognier, Roussanne, Cinsault, Counoise, Clairette Blanche, Vermentino, Tempranillo, and Mourvèdre. 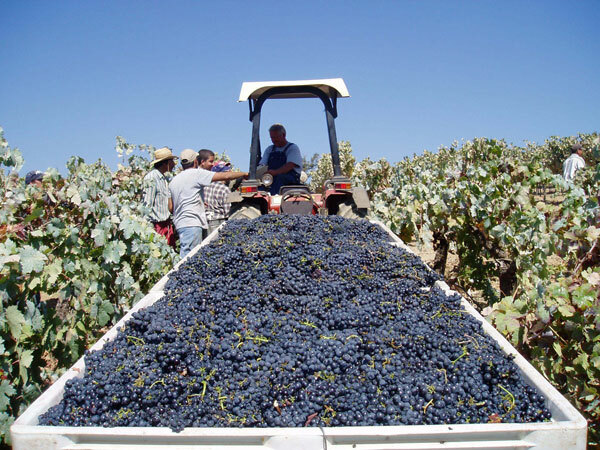 They are also very proud to farm and produce the long standing old vine Zinfandel, Petite Sirah, Malbec, Cabernet Franc, Cabernet Sauvignon, Grenache Noir, and Syrah.